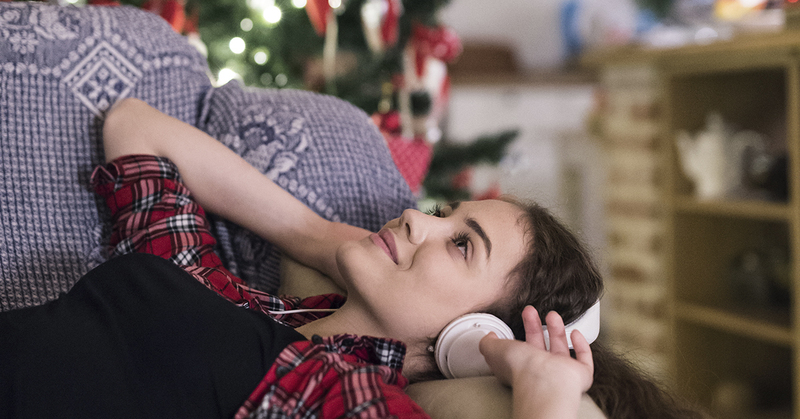 ‘Tis the season of darting through crowds of shoppers to a holiday music soundtrack that will have you whistling the oldest pop music ever written. Whether you love everything Christmas or you’re a musical Scrooge, knowing your musical history will help you re-appreciate the popular music that has stood the test of time – even “The Little Drummer Boy”. Carols actually existed before the 3 wise men brought frankincense and myrrh to visit the baby Jesus in a manger in the little town of Bethlehem (although it’s not known whether the little drummer boy was actually there at the time). A carol is a song of joy and praise that goes back to pagan times. During winter solstice celebrations, for example, partying pagans sang carols and danced around stone circles to celebrate the shortest day of the year. Over time, as Christianity grew in Europe, these songs for the annual solstice became adapted for the Christmas holiday that replaced it. Carols are popular music, beloved by the people, whereas hymns are songs of praise for church services. Carols are meant for singing outside of a church context, for fun and good times with family and friends, even by little choirs going door to door. The lyrics evolve over time, taking creative liberties with biblical stories, so that modern carols have characters like snowmen and reindeers (and a little drummer boy) – putting the pop in popular music. The top selling Christmas song of all time is “White Christmas”, particularly the original 1942 recording by Bing Crosby. With its “sleighbells in the snow” and glistening treetops, it is a secular carol celebrating nature in winter. Its touch of melancholy may have been what made it a hit, as servicemen overseas, missing their families during World War II made it the most requested song at the time. One of the most popular Christmas specials, “A Charlie Brown Christmas” wins new hearts from generation to generation. A big part of its success is the original soundtrack composed by renowned jazzer Vince Guaraldi in 1965 and in annual rotation ever since. Watch it again and listen to the catchy tunes throughout. They say it was this soundtrack that introduced jazz to many future musicians. The greeting “Merry Christmas and Happy New Year” was popular in 19th century England. Put to a melody, it was sung by carolers who went door to door on Christmas Eve. The tradition was for the wealthy in the community to give treats to the carolers in exchange for a bit of entertainment. The thing about artists recording Christmas albums is that you’re not supposed to do so until your career is fading. It’s sort of a last chance to cash in with your fans. Otherwise, it’s just not cool. While at the peak of her career Mariah Carey bucked the trend and recorded her hit album “Merry Christmas” in 1994. It took her and her co-writer only 15 minutes to write “All I Want for Christmas is You”, which has become a holiday classic. Love Actually’s "Christmas Is All Around" was recorded in the Abbey Road Studios. Beloved Christmas movie “Love Actually” was shot the year after 9-11. The director and cast felt it was a good time to bring the joy of Christmas back in a big way, which may account for the film’s feel-good success. It was time to talk about love. The song “Christmas is all Around” was recorded in the Beatles’ famous Abbey Road studios. Elvis Presley released his Christmas Album just before he left for his service in the US Army. Like Mariah Carey, Elvis’ success was so huge that recording a Christmas album was no risk to his reputation. In fact, he timed it well for his career, releasing it just before his musical hiatus, when he did his army service. His song “Blue Christmas” was so catchy that he even performed it at other times of the year. Watch this amazing documentary and learn more about Elvis Presley on Stingray Qello! Do you know why the Nutcracker is a Christmas’ ballet? The story is about a girl who befriends a nutcracker that comes to life on Christmas Eve and battles against the evil Mouse King. Annual December productions of it make it the only ballet than many of us have ever seen. Don’t miss The Nutcracker on Stingray Classica! It will be broadcasted on December 22nd and 25th, along with other magical productions: Hansel and Gretel, Les Enfants de Scaramouche, Cinderella & Christmas concerts.